We are a company with a passion for the brands we represent and professionalism in business management. 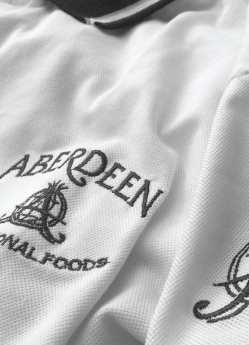 We are Aberdeen International S.A.
Our history related to gourmet products of the world began more than two decades ago. Throughout all those years we learned to admire the finest products and flavours of the world. By selecting foods and beverages from more than one country for the large retailers we worked with for many years we came to love what we do wholeheartedly and that passion only kept on growing daily. Many of those products are the ones we currently share with our customers although from another position and in a more customized and devoted way, while we have the chance to enjoy and proudly market those brands and the products we import from different parts of the world. Aberdeen International S.A. is the direct result of that passion and Aberdeenfoods.com is our meeting point with all of you. Aberdeen International S.A. is a young company committed to the importation and distribution of foods and beverages of the world, specially focused on beers. We are the leading - independent –beer importers in our country. Our goal is to be an efficient tool to supply different customers with our specially selected products, with no limitations, and with a focus on the final consumer’s total satisfaction. We market the brands we import in different channels and with a strong presence in the main supermarket chains, gourmet stores, wine bars, bars and restaurants, among others, reaching the most distant places in our large country. We are a company with a belief in professional, friendly, ever-lasting business. We are located in Buenos Aires, Argentina.